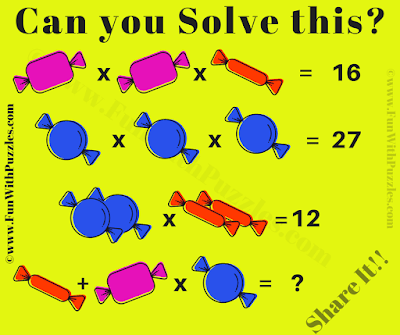 This Picture Equation Math Puzzle is dedicated to Kids as they loves to eat Candies. This Math Puzzle is also dedicated to Candy Crush Game lovers. Anyway this Picture Equation Math Puzzle will test your Mathematical Skills. 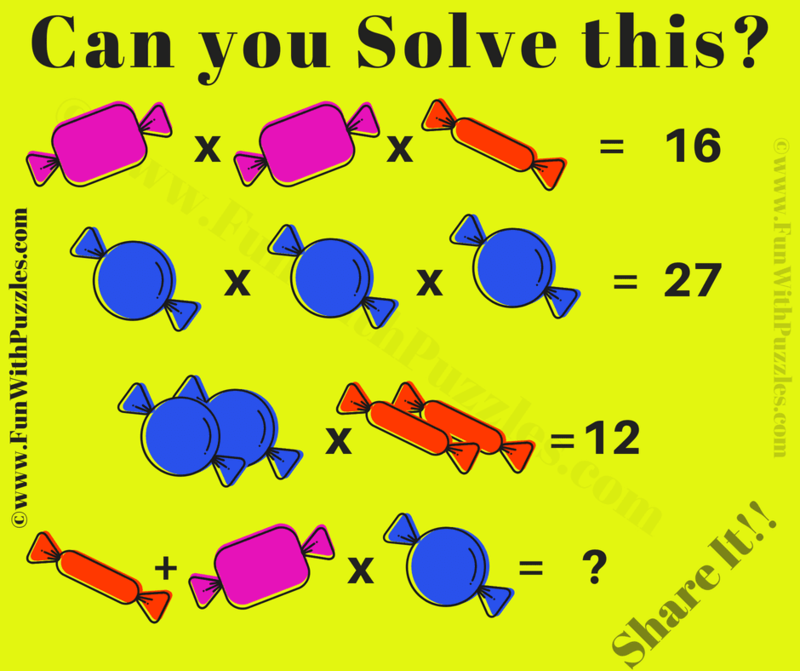 In this Algebraic Math Puzzle there are some equations in which variables are represented by Candies. Can you solve this Picture Equation Math Puzzle? Can you solve this Picture Equation Math Puzzle? Answer of this "Picture Equation Math Puzzle for Kids", can be viewed by clicking on button. Please do give your best try before looking at the answer.